Get off the train and pass the ticket gate. After doing so, you should turn left. 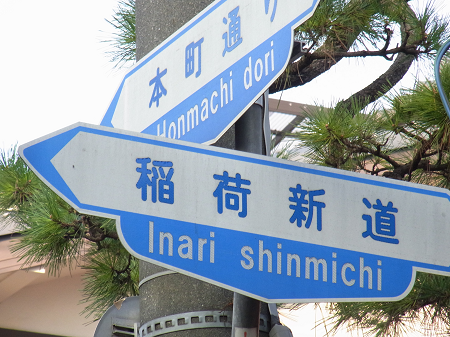 After going straight, there will be a torii on the right. 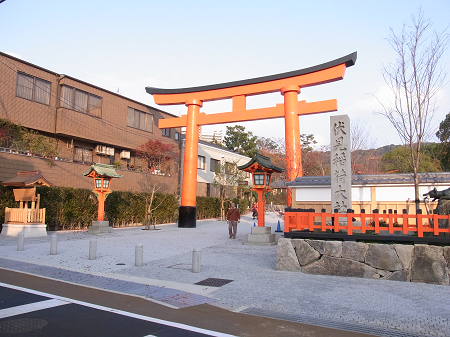 Go through the torii and you will be at the main gate of Fushimi Inari shrine. 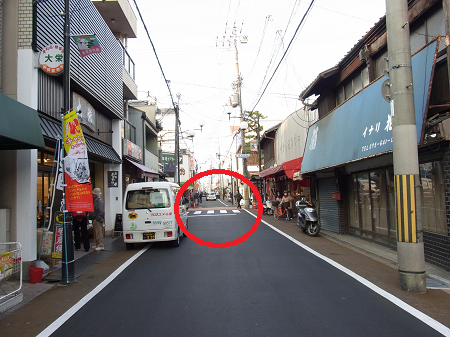 Go throught Fushimi Inari Shrine and you will see a crosswalk. 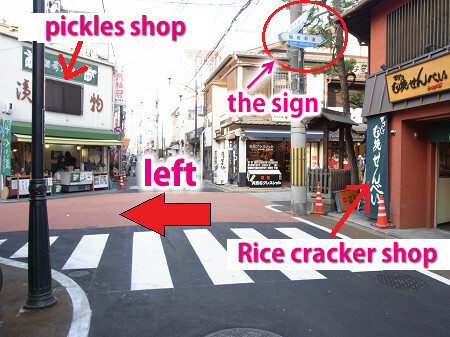 Upon arriving at the crosswalk, you will notlce an Rice cracker shop on the right and an pickles shop across the acossroad, on the left. You should turn left on the crossroad. Please note the sign on the telephone pole as you approached the arosswalk. 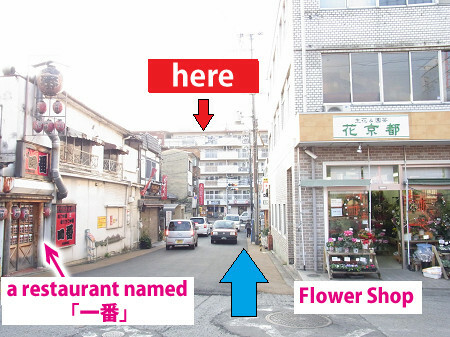 This picture shows an enlarged view of the sign on the telephone pole. 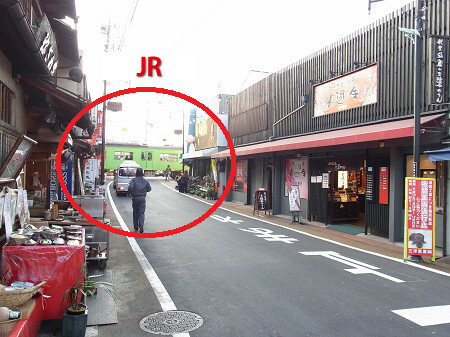 You should turn left and there will be a JR rallroad croossing. 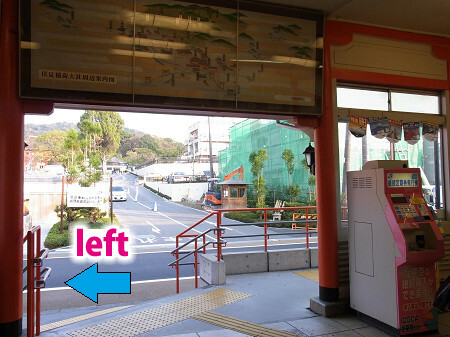 You should go through the rallroad crossing. 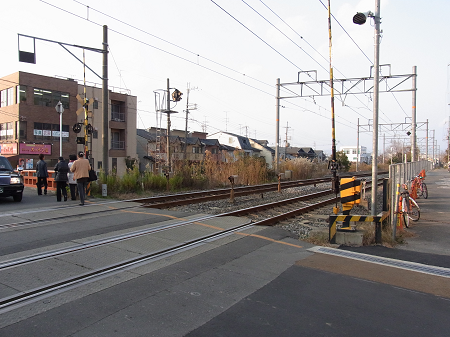 Then, there will be a Keihan Train railroad crossing ahead. 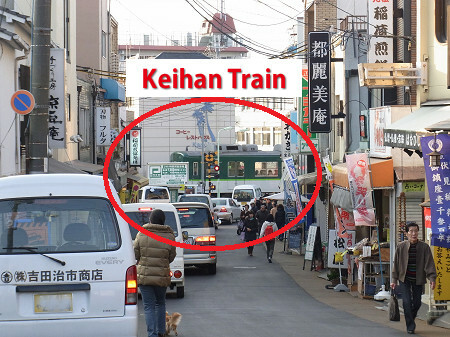 Go though the Keihan Train railroad crossing and continue straight ahead. 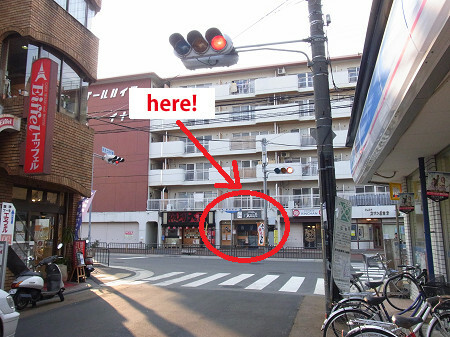 After going straight ahead, there will be a traffic signal and an apartment building named "Pearl Heights" beyond the traffic signal. 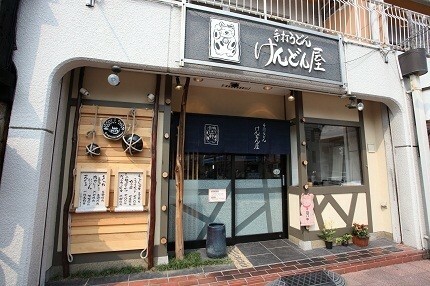 Our restaurant is located on the first floor of this apartment building. 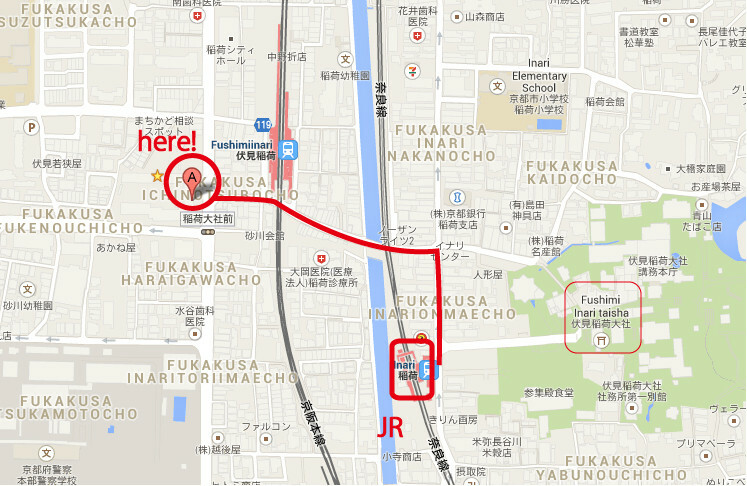 Please come visit us. We look forward to welcoming you. Copyright © 2013 Kendonya-Handmade Udon Noodle Restaurant All Rights Reserved.